Following their acclaimed Canadian premiere in 2015, otherworldly Japan-based ensemble Dairakudakan presents Paradiseas part of the 2017 Vancouver International Dance Festival. 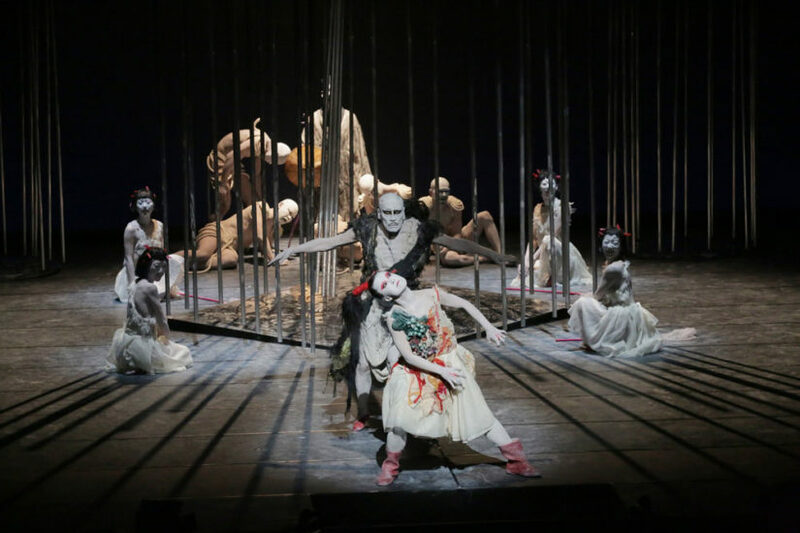 Arriving in celebration of award-winning Choreographer/Director Akaji Maro’s 45th anniversary with the butoh-theatre company, their latest theatrically explosive work tests the concept of heaven. Amidst visions of jungle locales, ghoulishly cheerful roller-skating gangs, and chained-and-bound masses, the surreal and haunting full-length work asks whether paradise is something that can only be found by tunneling within.